IIT Roorkee Recruitment 2019 - Job notification for JRF Post on a project entitled "RF-DSP co-design techniques for energy/spectral efficient massive MIMO/carrier aggregation in SG communication" in Department of Electronics and Communications Engineering, IIT Roorkee, Uttarakhand. 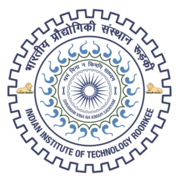 Applications are invited by Indian Institute of Technology, Roorkee on or before 16 Apr 2019 for 1 vacancy. M.E/ M Tech. in Electronics & Communication or equivalent with CGPA above 7.0 (on 10.0 scale) or percentage greater than 70% aggregate The candidate with in FPGA programming will be given preference. "RF-DSP co-design techniques for energy/spectral efficient massive MIMO/carrier aggregation in SG communication"
Eligible candidates may send their application in prescribed format to The office of Principal Investigator through email, by post or produce on or before 16 Apr 2019, along with following documents. 1. Application in a plain paper with a detailed CV including chronological discipline of degree/certificates obtained. 2. Experience including research, industrial field, and others. 3. Attested copies of degree/certificate and experience certificate. IIT Roorkee Recruitment 2019 - Walk in for Project Assistant Post on a project entitled “Investigation of the functional roles of the RNA polymerase I transcription factor complex selectivity factor 1 by CRISPR/Cas9 assisted genome engineering” in IIT Roorkee, Roorkee, Uttarakhand. Candidates are invited by Indian Institute of Technology, Roorkee to attend walk-in-interview to be held on 03 May 2019 09:00 AM for 1 vacancy. IIT Roorkee Recruitment 2019 - Walk in for JRF Post on a project entitled "Structural characterization of dye-decolorizing peroxidase enzyme from Bacillus subtilis and Pseudomonas putida with an aim for bioremediation of industrial wastewater" in Department of Biotechnology, IIT Roorkee, Roorkee, Uttarakhand. Candidates are invited by Indian Institute of Technology, Roorkee to attend walk-in-interview to be held on 30 Apr 2019 at 10:00 AM for 1 vacancy. 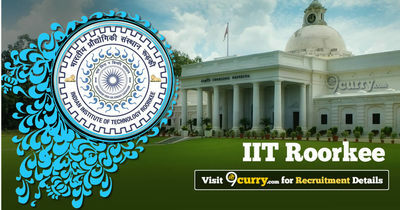 IIT Roorkee Recruitment 2019 - Walk in for JRF Post on a project entitled "Systematic transcript profiling and functional analysis of key regulators during rice crown root development" in Department of Biotechnology, IIT Roorkee, Uttarakhand. Candidates are invited by Indian Institute of Technology, Roorkee to attend walk-in-interview to be held on 24 Apr 2019 12:00 PM for 1 vacancy. IIT Roorkee Recruitment 2019 - Job notification for Project Assistant (Technical) Post on a project entitled "Rural Technology Action Group (RUTAG) IIT Roorkee for the State of Uttarakhand (DST-475-AHC)" in Department Of Hydro And Renewable Energy, IIT Roorkee, Roorkee, Uttarakhand. Applications are invited by Indian Institute of Technology, Roorkee on or before 29 Apr 2019 for 1 vacancy. IIT Roorkee Recruitment 2019 - Walk in for JRF Post on a project entitled "Virtual Lab. Project Phase III" in IIT Roorkee, Roorkee, Uttarakhand. Candidates are invited by Indian Institute of Technology, Roorkee to attend walk-in-interview to be held on 22 Apr 2019 11:00 AM for 1 vacancy.